This spring, Krog Street Market is welcoming a new tenant, a Spanish tapas restaurant and bar called Bar Mercado. The concept, by Castellucci Hospitality Group (CHG) of Cooks & Soldiers, Double Zero, The Iberian Pig and Sugo, celebrates multi-regional flavors found in tapas bars in Madrid. 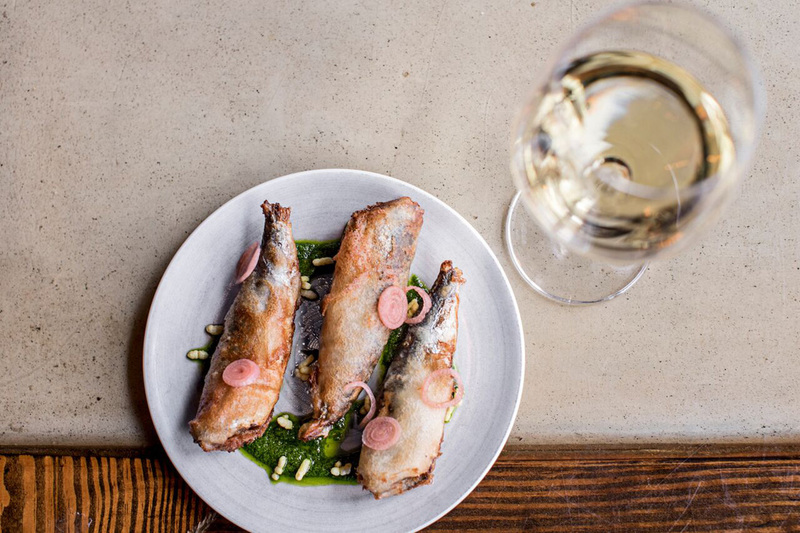 CHG co-owner and chef John Castellucci will oversee the kitchen and menu items such as piquillo peppers stuffed with Idiazabal cheese (above), stewed meat—called estafodo—spiced artichokes, and Pescaito Frito (below), a traditional fish dish with roots in Southern Spain. Guests also can enjoy a large selection of Spanish wines and cocktails.